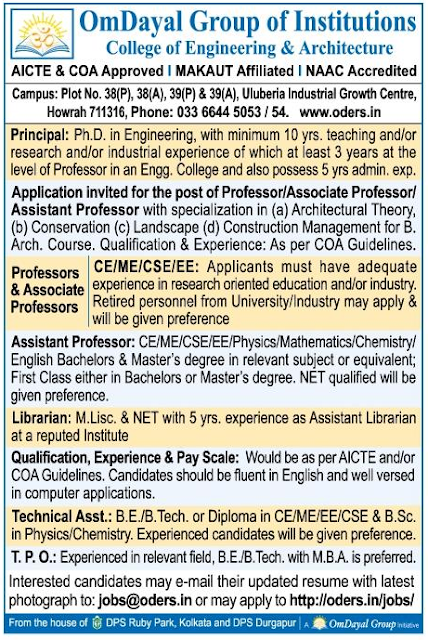 OmDayal Group of Institutions, Kolkata has advertised in THE TELEGRAPH newspaper for recruitment of Teaching Faculty- Professor / Associate Professor / Assistant Professor / Principal Plus Non-Faculty jobs vacancies. Interested and eligible job aspirants are requested to apply immediately from 15th January 2019. Check out further more details below. As per AICTE / COA norms. 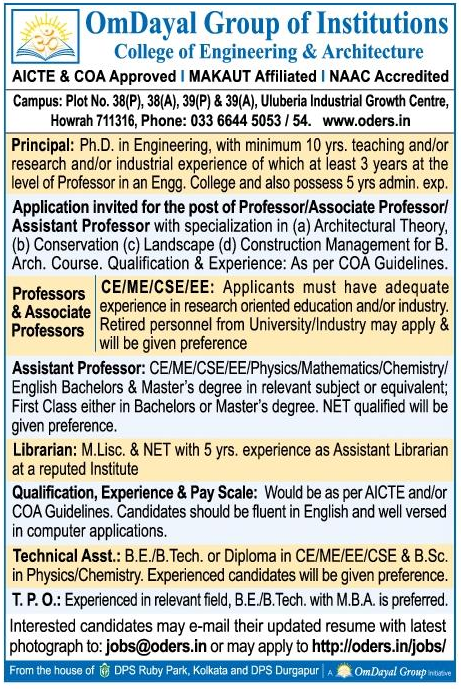 Principal should be Ph.D with minimum 10 years experience.